When you think of the biggest names in mixed martial arts – the fighters that most fans get excited about watching compete inside the cage – your mind automatically ventures towards a collection of competitors who have delivered highlight reel knockouts and frequently put forth action-packed performances. 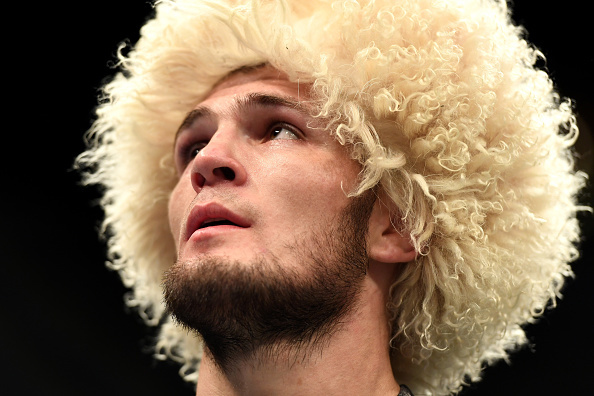 You wouldn’t necessarily think of the man who holds the record for the most takedowns in a single fight as being high up on that list, but then that’s what makes Khabib Nurmagomedov so special. In a time where clinch battles are booed quicker than ever and calls for referees to “Stand them up!” rain down from the cheap seats as soon as the fight hits the floor, Nurmagomedov is one of the few grapplers that has gotten over with fans and it’s partially because he’s not your average wrestler. The unbeaten Dagestani standout is capable of smothering opponents with his top control game, but prefers to take people down and break them. That’s actually how he describes his style. do all my life. I have wrestling guys as opponents, I have striking guys as opponents – it doesn’t matter; all the time, I keep going. His relentlessness and string of impressive performances inside the Octagon is only a part of what has endeared the 29-year-old contender to fans and made him a must-see attraction whenever he competes. The other piece of it is his personality and the way he carries himself. Some might consider Nurmagomedov cocky, but his matter of fact way of laying things out make his self-confidence seem charming to most, even when he starts speaking in the third person when discussing Barboza’s takedown defense and his ability to keep fights standing in the past. “I agree that his takedown defense is improving, but I don’t believe that he can stop me,” he said. “His takedown defense was good when he fought with Gilbert Melendez, when he fought with Anthony Pettis or other guys, but what about Khabib Nurmagomedov? I think this guy is a different level of takedowns than Pettis or Melendez. Nurmagomedov laughs before continuing his breakdown of his clash with Barboza this Saturday night in Las Vegas, which he categorized as a throwback to the classic “striker vs. grappler” battles that the UFC was founded on. But he’s also quick to shoot down talk about what will come after this fight – about potential matchups with Conor McGregor or Tony Ferguson – because he doesn’t want people to think he’s looking past the task at hand. “I want to give respect to Edson, and talking too much about what happens after this fight, I think this is disrespect and maybe people think that I’m underestimating Edson Barboza,” he said of his Brazilian opponent, who enters on a three-fight winning streak and coming off one of the best knockouts of the year – a second-round flying knee finish of Beneil Dariush in Fortaleza, Brazil back in March. But Nurmagomedov is No. 2 and he has his sights set on the UFC lightweight title. His dream scenario is to win the belt and eventually retire undefeated, but he also knows that there are obstacles he must deal with and questions he must answer before he can even get the chance to challenge for championship gold, let alone win the title and call it quits without suffering a loss. Right now, the question everyone is waiting for Nurmagomedov to answer is whether he’ll make weight after he was forced to withdraw from an interim title fight with Ferguson at UFC 209 due to complications that arose during his weight cut. It’s a touchy subject with the usually affable lightweight standout and he avoids getting into specifics about what went wrong or the changes he’s made leading up to this fight to ensure what happened in March won’t happen again this weekend or in the future. “I don’t want to think about what happened at the beginning of the year and that night. I want to talk about today and the future. I’ve closed (my thoughts on the past),” he said. “Sometimes when you’re a professional fighter, you have bad days too and those days were bad days for me, but I’ve changed a lot of things and we’ll see what happens in the future. But he’s even more excited about getting back in the cage, adding Barboza to the list of tough opponents he’s vanquished and proving he’s deserves the opportunity to fight for UFC gold in 2018. “Last time when I was supposed to fight for the title, I didn’t fight and this is my fault. Now I come back and the UFC has given me a tough opponent. Saturday night I want to show people I deserve a title shot and then I want to take the belt and defend the belt.